Are you dreaming of starting your own business? 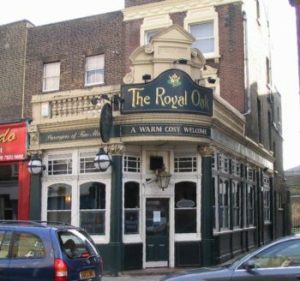 Is the daunting task of finding auditors in Royal Oak, London a cause of misery? Then you have come to the right place. Because, MMAAS Ltd can be your one-stop solution to all your financial worries. We offer a wide range of accounting, tax and consulting services to meet the needs of the client. Our accountants in Royal Oak, London are committed to providing our clients with accurate financial information. Effective tax planning and tax preparation is an integral part of any business firm. Our eligible accountants in Royal Oak, London can help you with your tax return calculations. Taking the advantage of new tax legislation our accountants formulate lucrative tax strategies. To increase your company’s profitability we provide constructive financial solutions. Our firm also would help you prepare all necessary payroll returns. Our payroll processes include pre-tax deductions, state payroll filings and related issues. We ensure optimum cash flow to support your business’ success. Our expert accountants in Royal Oak, London will help you in systematic bookkeeping. We will also help you in preparing an annual financial statement for your business. Our company also reviews your data to ensure the integrity of it. Our prime objective is client’s satisfaction and trust. By working with the number of entrepreneurs we have been successful in attaining acknowledgment. We value the objectives of our client’s business. Our accountants continually seek revolutionary methods to keep your company running effortlessly. We believe in mutual growth. We strive to render financial services to you at an affordable cost. So, If you still have any doubts, do give us a call. Our accountants are here to ease your problems. You can Visit us any of our offices to clarify your doubts.